The eye still baffles scientists today. This is only our eye! Our bodies are very complex; bones, muscles, organs, DNA, elements & more! Dr. Doug Borchman (a former atheist) unlocks the mystery of the eye in the lab every day at the University of Louisville. Though he has studied the eye for more than 30 years, he said there’s still much to learn. Borchman came to Louisville 26 years ago a convinced atheist. Growing up outside Detroit to hard-working parents, he was the kid who understood chemistry like other kids understood comic books. After graduating from Cass Technical High School, he added layer after layer to his learning, eventually earning his Ph.D. in chemistry at Wayne State University. He was the first one in his family to graduate from college. Throughout his education, atheism was reinforced by professors who talked with certainty of a world that came into being through time, chance and the laws of physics. But it was the more tangible, more personal side of disbelief that was, perhaps, most convincing. Each year, 55 people were killed and another 150 people were assaulted within a 4-mile radius of his home. When Borchman’s 80-year-old neighbor was raped, two of his friends were killed by a drug dealer with a baseball bat, and he lost his sister to drugs, he turned his back on a God who allowed that to happen. “At that point in my life, I thought religion was silly,” Borchman said. Even then, he married Susan, who did believe in God. Borchman now believes it was no accident that he and Susan settled in Louisville. He had two career possibilities: research at the University of Alaska or the University of Louisville. He applied to both and made follow-up calls, reaching a professor at U of L who shared similar interests. After that conversation, Doug and Susan came to Louisville to learn more about the job and the town. When he pulled into a gas station off Interstate 71, the professor he was supposed to meet recognized him standing at the gas pump. They talked a while and Borchman was hired. The professor later said he believed it was a sign. The two have not run into each other by chance since. A friend told Susan about Southeast Christian Church. She came, loved the church and brought Doug to a service in 1988. Doug said she dragged him. It was far different than the churches he’d visited over the years. “The preacher was compelling,” Borchman said. “People had joy. It wasn’t stiff like the church I’d grown up in. There was something special about that place.” He returned Sunday after Sunday. In time, Borchman decided that atheism made no sense and opened the door to faith in a God who created the world and wanted a relationship with him. Three mornings a week, he spends time in the prayer room at Southeast before beginning his day in the lab. Borchman has written 104 peer-reviewed articles and speaks often around the world. The magnificence of God’s creation isn’t lost on him as he approaches his work. For most of his career, Borchman studied cataracts, the clouding of the lens that occurs with age and is the leading cause of blindness in the world. The lens of the eye points to incredible complexity. ​“If we look at just the lens and imagine a fish that didn’t have a lens in their eye, for the lens to be formed somehow in that fish by time and chance, the lens would have had to be perfectly formed and clear when it initially appeared in the eye, otherwise the lens would block vision and the survival of the animal would be seriously compromised,” he said. When Borchman studies the lens, he sees God’s handiwork, and the work of time, chance and the laws of physics can’t explain how such a remarkable organ was formed. 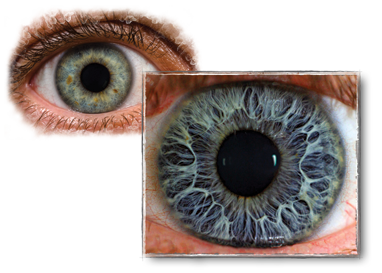 Complexity of the human eye points scientists to a Master Creator. He often talks to church groups about creation. The simplest cell has 2,000 types of proteins.